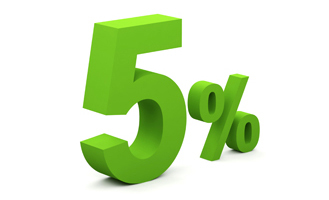 As of April 1st 2019 there is a reduction from 10% to 5% in the apprenticeship contribution for small employers funding apprenticeship approved training courses. This is aimed at addressing criticisms that the Apprenticeship Levy resulted in a significant fall in the number of apprenticeships, especially from small employers. It is hoped to encourage small firms to offer more apprenticeship schemes with reduced costs to the business. Previously, employers with an annual wage bill of less than £3m did not have to pay the 0.5% levy, but they did need to fund the first 10% costs for apprenticeship levy training with the remaining 90% being met by government. This will now shift to a 5% and 95% split. As many as 77% of young people and 79% of parents think that apprenticeships can provide them with good career prospects. Nearly half of these also believe that apprenticeships and university degrees now have the same value so there is an appetite for and interest in apprenticeship schemes – hopefully this reduction in contributions from smaller businesses will help to satisfy this demand. We have seen the process behind the Apprenticeship Levy evolve, with employers increasingly shaping the type of apprenticeship training they want and working alongside training providers to make this possible. We believe that when employers shape the training offered to their apprentices, it is possible for them to make the levy work for them in a far more tailored way and this move by the government will also support this and make it an even more accessible option for businesses. It will be interesting to see whether this change to contributions an impact on the number of small employers taking on apprentices. The impact of training on growing and retaining talent in the region is fundamental to business development and we encourage all employers to take a view on how they can utilise the levy to meet skill gaps. To discover more about the different apprenticeship programmes that we offer visit our course catalogue.